We wish to thank the artist's great great-granddaughter, Catherine Divry, for supplying us with some of the photos illustrated here. 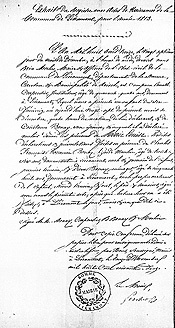 Copy of birth certificate for Marie-Louise Carpentier (Emile's mother). 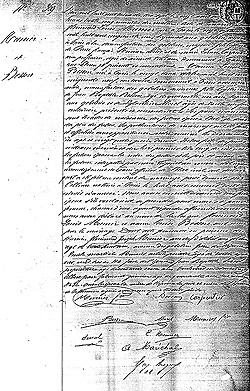 Copy of birth certificate for Florimond-Louis Munier (Emile's younger brother) - September 11, 1851. Emile M. Munier - 1860 Copy of the marriage invitation for Emile Martial Munier and Henriette Lucas – August 10, 1861. Copy of marriage certificate for Emile M. Munier and Henriette Lucas - August 10, 1861. 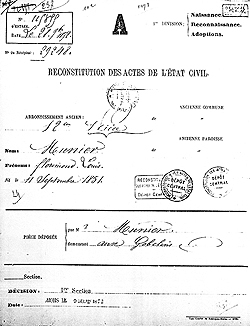 Copy birth certificate for Emile-Henri Munier (Emile & Henriette's son) - August 28, 1867. Copy of death certificate for Henriette Lucas (Emile's first wife) - November 9, 1867. 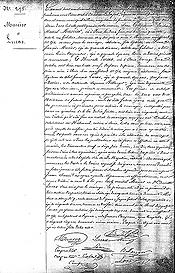 Copy of birth certificate for Marie-Louise Munier (Emile's daughter) - June 12, 1874. 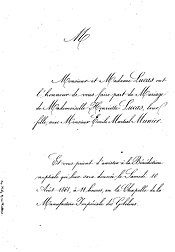 Copy of marriage certificate for Florimond-Louis Munier (Emile's brother) and Louise Besson - August 11, 1877. 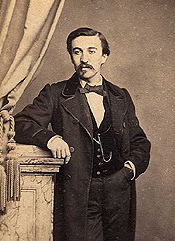 Marie Louise Munier. 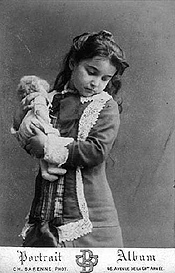 This photo was used as inspiration for his painting Le Jeune Fille et la Poupeé, 1882 (Catalogue No. 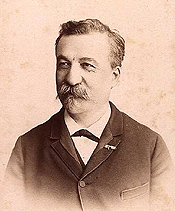 1882.02). 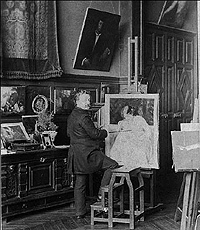 Emile M. Munier in his studio - 1888 Copy of the marriage certificate for Emile Henri Munier and Marie Marguerite Aumont - January 1893. 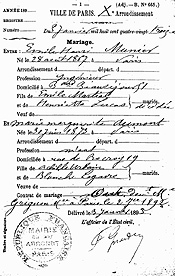 Emile M. Munier - 1893 Copy of death certificate for François-Joseph Munier (Emile's brother) - September 14, 1906. Copy of the death certificate for Florimond-Louis Munier (Emile's younger brother) - April 22, 1926.